One of the biggest factors on a mortgage application is the credit history of the borrower. Lenders are looking for a well established credit history that shows the borrower’s abilities to repay loans on time. However, sometimes life circumstances can result in a less than excellent credit report. The good news is that this doesn’t rule out the option of homeownership for an individual. Here are some ways to improve your credit history and your chances of being approved for a mortgage. The biggest factor that affects your credit score is whether or not you make your payments on time. If you do nothing else to improve your credit, just be sure to pay your payments on time. Anytime you make a payment that is 30 days or more past due it is reported to the credit bureaus and significantly decreases your credit score. Lenders view late payments as a sign of financial struggles or irresponsibility and they will question whether or not you will pay them on time. In order to get your credit back in good standing you must settle any old and bad debts. Pay in full on any collections, charge-offs or liens that are showing on you currently have. This shows that although you were delinquent on debts in the past you took the steps to reconcile those loans. Paying off outstanding collections and charge-offs will make an impact and improve your credit history immediately. When you are trying to improve your credit history it is best to avoid any new credit inquiries. 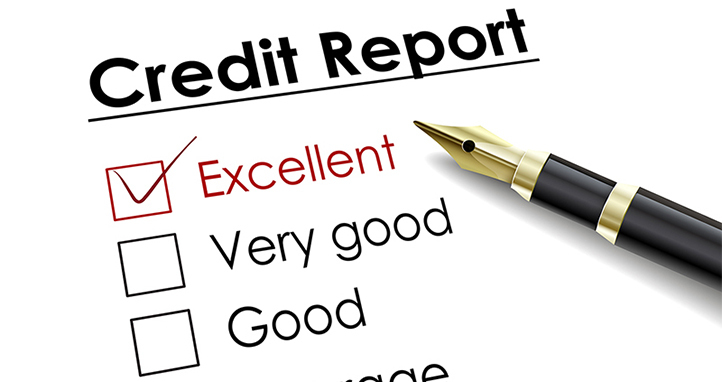 A credit inquiry is report to the credit bureau anytime you are applying for new credit. Each inquiry has an impact on your credit score. Not only does it impact your score but it is a red flag to lenders that you may be overextending yourself by trying to get too many new debts. Another factor that can improve your credit history is the availability ratio. This represents the amount of credit you debt you are using in comparison to how much you have available. For example, if you have a balance of $2,000 on a card that has a limit of $5,000 you are utilizing 40% of your available credit. It is best to keep this ratio under 50%. If you’ve had credit issues in the past it is wise to keep your overall debt to a minimum. Try to keep one revolving account and one installment loan that aren’t maxed out. This will show your lender that you are maintaining credit without over extending yourself. This is probably the one piece of advice that most people don’t want to hear, but unfortunately it is going to take time for your credit score to improve. After taking all of the steps above, time is the last component to improving your credit standing. Each month that goes by without delinquency helps improve your credit history. Also, this will make lenders more confident that you have recovered from whatever financial struggles you went through. It is understandable if you do not have perfect credit and there are ways of redeeming your credit history. Follow the steps above to improve your credit history and show that you’ve recovered from your financial difficulties. This will give mortgage lenders confidence in your ability to repay your loan and increase your likelihood of being approved for a mortgage loan.